Before the 2003 season, the team traded Randy Winn to the Seattle Mariners for the right to negotiate with manager Lou Piniella, a Tampa native, who managed winning teams at every stop in his managerial career, including the New York Yankees, the Cincinnati Reds (whom he led to a World Series Trophy in 1990), and the Mariners. 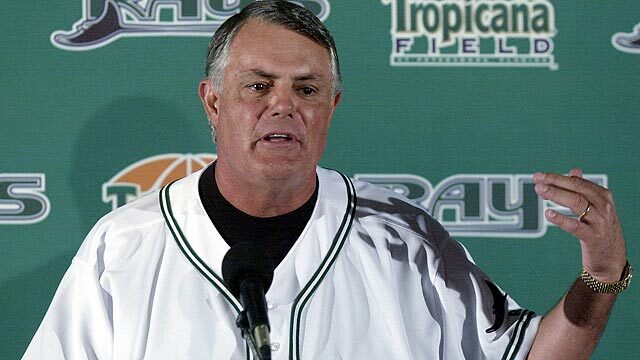 Piniella was attracted to the Tampa Bay job because of the proximity to his family and the chance to build a losing franchise into a winner as he had done in Seattle. Piniella’s first team still came in last place, but finished seven games better than the 2002 team. A highlight of the 2003 season was the emergence of Rocco Baldelli, a native of Rhode Island, as one of the top rookies in the major leagues.